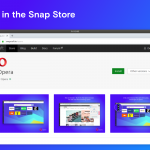 Today Opera developer updates to 26 (and Chromium 39.0.2145.4) and includes new bookmark sharing functionality. As always, we also included many bug fixes and other improvements. More details can be found in the changelog. In Opera 25, we introduced a new visually-orientated bookmark manager. 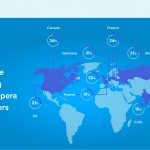 For Opera 26, we wanted to take things a step further and make it easier for you to share your bookmark collections. A new “Share” button appears within folders, allowing you to quickly and easily share their contents. This leads to many possibilities. In the past, you could have shared a birthday wish list from one website with a friend. Now your list can spread across multiple shopping sites. Trying to book airline tickets for a romantic week away? Create a list of options from across airlines and share them with your partner. Found some funny cat videos but they are all hosted on different websites? Add them all to a bookmark folder, hit the share link and pass them on. Just like our internal bookmarks, our shared collections have nice visual previews. You can also import collections that others have shared, straight into Opera (just click on the “Add to Bookmarks” button). In addition you can also send these collections to people using other browsers, so you can share with your less-enlightened friends and colleagues! 😉 Though sadly they will not be able to import them with a single click. If they want to do that, tell them to use Opera. So, get to sharing content with your friends and let us know what you think of this new feature in the comments below!